Height? Design? Function? 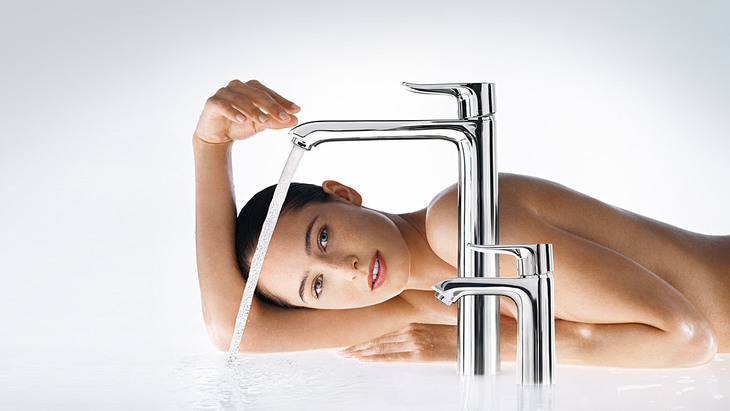 Hansgrohe satisfies even the most varied requirements and has versatile solutions on hand. 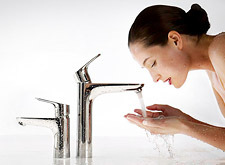 We are now redefining the ComfortZone: with wash basin mixers. ComfortZone means: plenty of space at the wash basin. This is achieved by the height of the mixer, i.e. the space available between spout and wash basin. And our customers can completely tailor this to suit their personal requirements. Check out the new Metris, Talis and Focus mixer ranges and their refreshingly convenient models. Each person has his/her own daily rituals, his/her own personal taste – and needs his/her own personal space. This is true In the bathroom as well. As a sanitation professional, you can now help your customers find and design their own personal ComfortZone online: with the ComfortZone Finder and the Ambience Configurator. Say no to spatial compromise! Five new mixers ensure an unprecedented sense of spaciousness in the bathroom. And fantastic retail sales opportunities. Perhaps your customers would love to be surrounded by design classics or maybe they prefer a combination of excerpts from different stylistic periods: the contemporary Metris range is a minimalist design and fits in just great anywhere. The ComfortZone variety includes the Talis mixer 250 with swivelling spout. This comes in really handy for rinsing out your mouth or washing your hair. Its lateral operation means that its incredibly flexible water jet can be easily controlled. The mixer models with rotatable 360-degree spout also have an impressive all-round spray arc and offer plenty of room to move around. Focus offers a high degree of day-to-day comfort: the swivel spout of the Focus 240 gives the user lots of freedom at the wash basin, and the Focus 190 provides plenty of flexibility for everyday use. Make guest bathrooms resplendent using discreet models such as the Focus 70. Focus is elegant in design and blends harmoniously into any surroundings.